TODAY'S ACC HEADLINES: ACC Mulling Over Old Dominion? 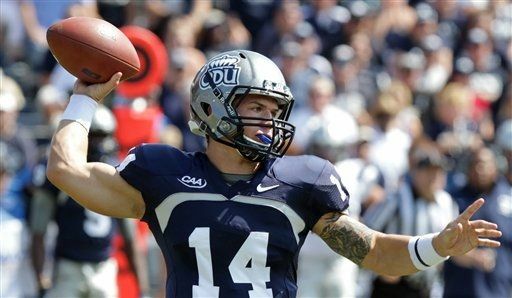 Old Dominion quarterback Taylor Heinicke has just added himself to the NCAA record book, and in doing so the fledgling Old Dominion football squad has caught the eye of the ACC Expansion Committee. "Although it was recently reported that the conference, which is now the best conference on planet earth, has no further expansion plans, we have to consider all programs in our geographic area, which is pretty much the whole country,” ACC Commish John Swofford allegedly said to somebody who told somebody else who told somebody else who’s sister told a T.A.H. mole source. So, what caught the ACC’s football eye? On Saturday, Heinicke threw for 730 yards in a 64-61 win against New Hampshire to break David Klingler's Division-I record for passing yards in a single game. The record stood for 22 years. "I have a hard time fathoming what he's doing on the football field," coach Bobby Wilder said of Heinicke after the game. Heinicke completed 55 of 79 passes and threw for five touchdowns and no interceptions as he rallied the Monarch from a 54-38 defincit through three quarters. He set Old Dominion records for completions (55), attempts (79), and passing yards (730). The Monarchs suspended football in 1941 and restarted play in 2009. 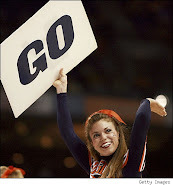 Old Dominion began play as an independent FCS team (formerly I-AA) and joined the Colonial Athletic Associaiton in 2011. In the first three years of competition after its rebirth, Old Dominion compiled a 26-7 record and earned a berth in the 2011 FCS playoffs, hosting, and defeating, crosstown rival Norfolk State before losing 55-48 to Georgia State earning a 10th spot in the final FCS poll. Currenlty, Old Dominion is 4-0 and ranked 4th in the FCS poll. In 2013, the Monarchs are slated to join Conference USA. “Once we confirmed that the 64-61 final wasn’t a basketball score, we had to give the Monarchs serious consideration simply because 730 yards is 730 yards,” allegedly said Swofford.